Save the Date! You’re invited to spend an evening laughing out loud at OUR 10th Annual Night for Hope – “Throwback to 1993!” hosted by the OUR HOUSE Associate Board. More details to come, including this year’s celebrity talent. 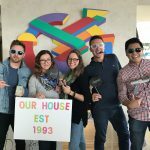 You’re invited to the OUR HOUSE Game Day for a fun-filled day of games, brunch, and exciting raffles. This event is hosted by the Valley Advisory Board. Learn More. 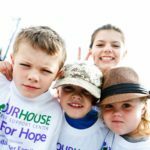 Join us at OUR House of Hope Gala 2018 to celebrate OUR Silver Anniversary and 25 years of sharing grief and finding hope. This year’s gala will be at Sony Pictures Studios in Culver City. Learn More. Join OUR Grief Specialist Training and develop the skills needed to support clients through the tumultuous journey of grief. This CEU training course provides a theoretical and practical approach to working with grieving children, adolescents, and/or adults. Learn More. 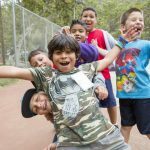 The weekend-long camp provides children an opportunity to learn coping skills, enjoy traditional summer camp activities, and connect with other children who are also grieving the death of someone close. Camp Erin LA is hosted twice a year at Junior Blind of America Camp Bloomfield in Malibu. Learn More. 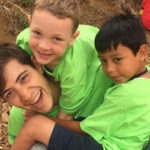 The weekend-long camp provides children an opportunity to learn coping skills, enjoy traditional summer camp activities, and connect with other children who are also grieving the death of someone close. Camp Erin OC is hosted once a year at Irvine Ranch Outdoor Education Center in Irvine. Learn More. Join us for our annual jewelry fundraiser at Anne Sisteron Jewelry Boutique, where OUR HOUSE is a grateful recipient of a portion of the event day’s purchases, which traditionally takes place the week before Mother’s Day and the month of graduation. Learn More. Join us for OUR annual Run For Hope 5K Run/Walk, In Memory Ceremony & Festival, and a day to share grief, loss and love, while helping to sustain the services of OUR grief support services. Learn More. Join us for a grief support workshop, in partnership with Cedars-Sinai, designed for adults grieving the death of someone important in their lives – no matter the relationship – who died during the past two years. Learn More. 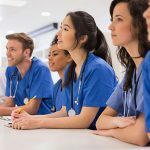 Join us in celebrating and honoring local physicians on National Doctor’s Day by supporting our medical education program with a donation to help students at USC’s Keck and UCLA’s David Geffen Schools of Medicine engage in a unique interactive opportunity to learn from OUR Grief Experts. Learn More.